There are two bedrooms and two private baths on the main level. The master bedroom has a king size bed with a shower/tub bath. This room also has a TV. The second bedroom has two queen size beds with a shower/tub bath. There is a washer and dryer between these two bedrooms.The living room, kitchen, dining room, and a small playroom are also on this floor. 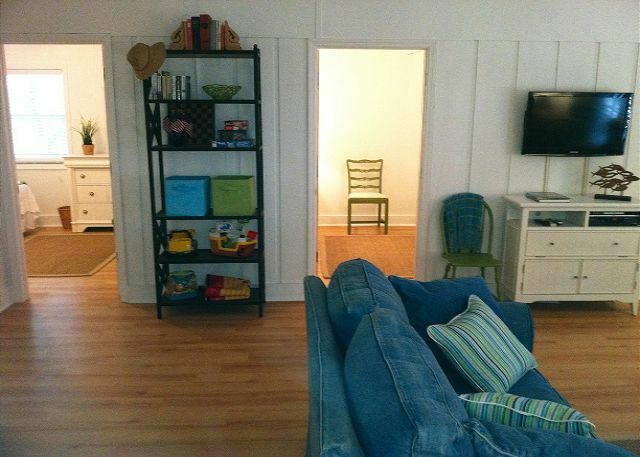 The comfortable living room features a TV with Cable, DVD player,and portable CD player. The dining room table seats ten with the ability to add another section for more seating. There is a full kitchen that includes a coffee maker, toaster, microwave, and blender. 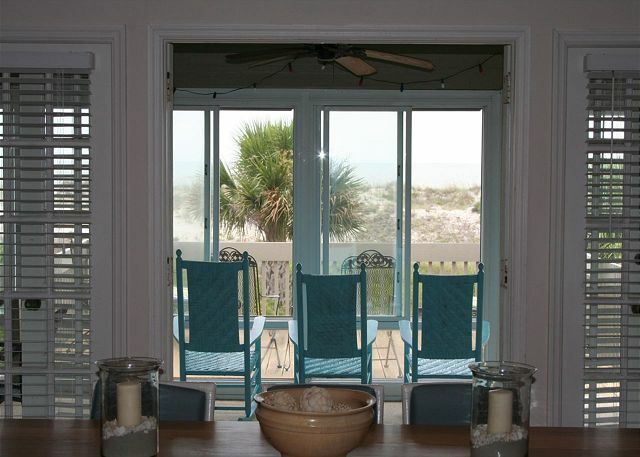 The focal point of this grand beach cottage rental is the porch with its unobstructed views of the Atlantic Ocean. The windows open up so that you can enjoy the ocean breeze. There is also a small open deck for the sunbathers. There are steps from the porch that take you downstairs. There are three bedrooms and another main room on this floor. Bedrooms three and four each have two twin beds. The fifth bedroom has two single beds. There is another private bath in the third bedroom plus a hall bath downstairs Each bath has a shower.The main room has a TV with cable and DVD player. A small snack room with a refrigerator and microwave is also on this floor as is another washer and dryer. A nice courtyard with two swings and a gas grill is in the side yard. This five bedroom home sleeps 12 with parking for four vehicles. "What a location! 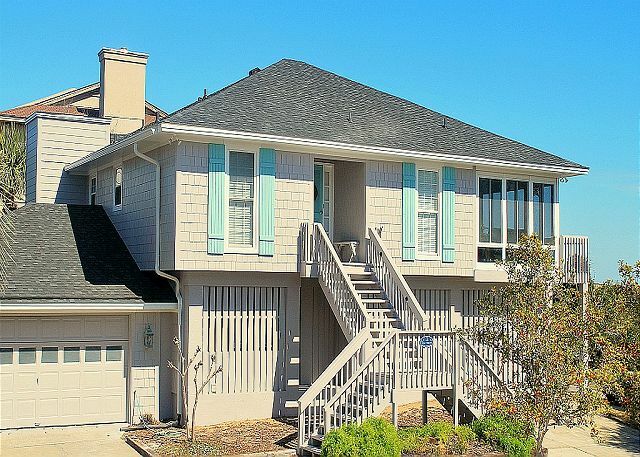 This beautiful house sits at the end of the street steps from the public boardwalk that takes you to the beach. You need only bring your toothbrush and bathing suit. The house is clean and well-maintained, fully stocked with towels, cookware, glassware, (even have beach toys for the children!) The property management team is excellent (Thank you Jim) and we would highly recommend any of the Tybee Cottage properties. " "When you are renting virtually sight unseen, you want a Jim Heflin who stands behind his word. We were all so impressed with the house and location. Plenty of parking, house has everything you could need. " 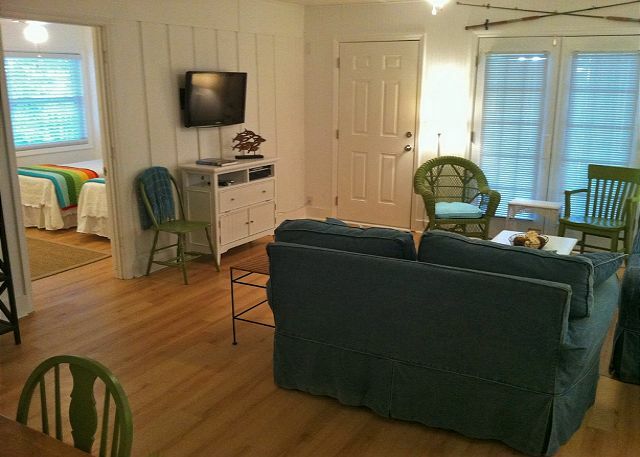 Tybee Cottage. We loved the location, the cleanliness and the property was well-maintained. The location of the town was convenient. We also enjoyed the dolphin tour and deep sea fishing. This was the "Best Vacation"!!!! "Another great week at Tybee! " "This was a very comfortable house. As my granddaughter was there we were happy with the many toys for a toddler." "We had a wonderful time. It was great to bring the family together in such a lovely surrounding"
"This Tybee cottage was simply wonderful ..... lovely rooms and mutiple locations for yong kids to play ....smashing screen porch going out to a grand deck and comfy furniture all around ! Kitchen was fully loaded and every kind of beach chair,umbrella and beach toy ? Having the three twin beds and en suite family room gave our kids privacy and is quiet ? 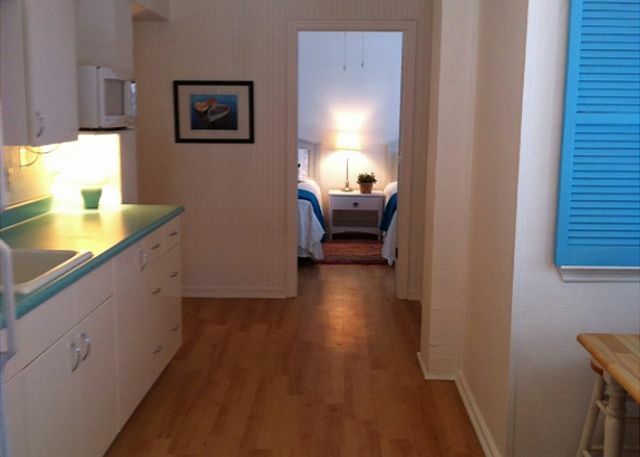 The proximity to the beach and easy access by walk way made it easy for all . This was my 70 family celebration and hoping to return for 71 ???" "The overall experience from start to finish was a smooth and easy process which is absolutely appreciated! It made the vacation experience as a whole all the better. The house, town, people, and each were without a doubt fantastic!" "Wow! All you need is your toothbrush, bathing suit and flip flops. This house is perfect in every way. 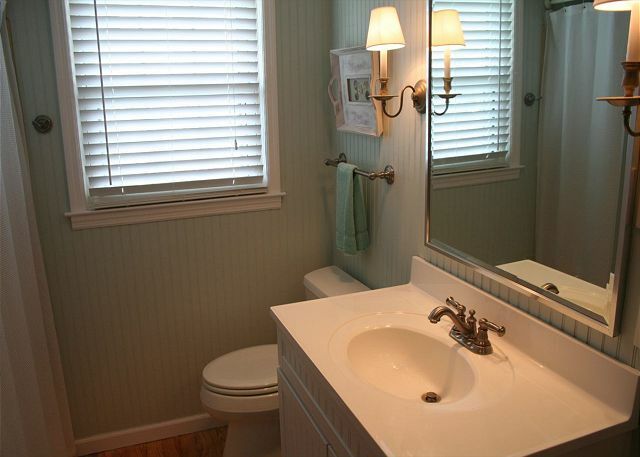 The property is well maintained inside and out; clean, spacious and well equipped for a stay on Tybee Island. Customer service is exceptional and we highly recommend this or any of the other rental properties represented by this management team. " "I chose this rental for our annual reunion of college friends. We were very pleased, especially with the room to sit and talk on the screened in porch and the deck outside, both with views of the ocean. The home was very clean and spacious. Would highly recommend this rental." "2 Twelfth Street was perfect for our vacation. As close to the beach as you can get. The house was nicely decorated, exactly like the pictures online, and came with everything. Watching the sunrise from the sun deck was awesome-even the kids woke up early to see. Location was great, walking distance to the pier and several very good restaurants. " "If you can imagine waking up to sun rises that take your breath away;riding your bike along the shoreline or slowly walking in the sand so you won't miss the treasures that await your discovery; smiling until your jaws hurt; enjoying a glass of wine on the deck watching the cargo ships come & go; tasting the freshest seafood at some of Tybee's local restaurants but also being 15 minutes from Historic Savannah; then this is the place for you! 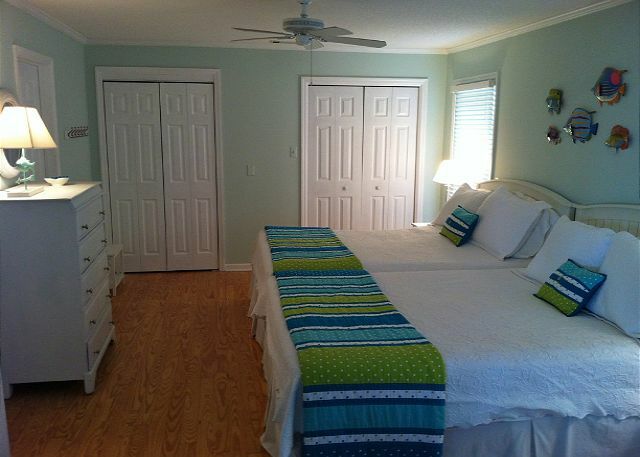 I would highly recommend ANY "Tybee Cottages" properties as this was our 5th experience with them. Enjoy your Island Adventure!!!" "Our Christmas vacation allowed my family from North Carolina, my sister's family from Alabama, and my mother in a assisted living in facility in Savannah to get together to celebrate Christmas and enjoy the beach. The weather was perfect for that time of year, and the sleeping accommodations and living area made for a very comfortable, relaxed social gathering." "Charming house, full of personality, with a porch and and deck overlooking the sand dunes beside the beach, with the boardwalk to the beach just a few steps away. Upstairs/downstairs living arrangement is perfect for two families or for older & younger generations. The street is quiet and private. " "This house is amazing! It looked even better than the photos, was right on the beach and had plenty of beds and kitchen space. Jim was wonderful. We were at risk of driving into Hurricane Hermine and he provided us with updates throughout the day and let us know when it was safe to leave. I would absolutely recommend this gorgeous, beach-front property. We had a blast. " "Our family absolutely loves this house! We have rented this house in the past and will book again for our next Tybee Island vacation. Our family feels at home in this house and loves its proximity to the beach and grocery store. Everything you need for your vacation from beach carts to beach towels are in the house as well as an awesome deck and screened outdoor seating. Mr Heflin is always pleasant and available if needed. " "I have been going to Tybee Island for 52 years! Since we became grandparents, we have reserved a house on the island. This was the 10th year. This is by far the best house for us... We have 6 granddaughters ages 15 through 2 and the rooms downstairs were perfect....even has a kitchen and laundry room! Perfect! The location is the best! A very convenient boardwalk just steps from the house made trips to the beach easy and safe for everyone! Also, the grocery store is just a minute away! Perfect! The large sunroom on the second story was divine! Sunrise in the morning and sunset in the afternoon. We will be reserving this perfect beach house each year!????????????" "2 12th street is the most accommodating house.! We love the large covered porch and especially love the uncovered porch - both overlooking the ocean. Bedrooms a great as well as the bathrooms. The decor is perfect and the kitchen had all anyone would need. Thus wad our 6th year at this house! Can't wait for next year! " "most attractive, clean, spacious, with beautiful view of atlantic ocean!" 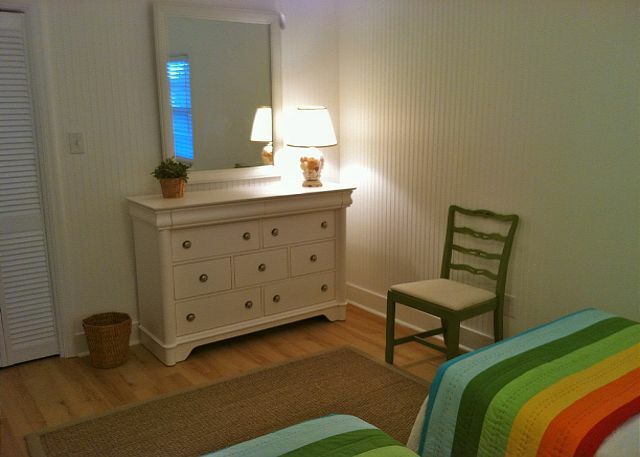 "This is our second and most delightful stay at this charming beach cottage. Number 2 Twelfth Street is now our family's home away from home. Three generations stayed together for a family reunion and family wedding with plenty of room for the week's stay.The home is perfect for all ages with the two separate living areas- the young adults hung out downstairs when they wanted their space. The whole family most enjoyed the giant screened in porch-sipping coffee in the rockers while watching the sunrise to playing board games during the afternoon rainstorms. The amenities were all well stocked-we did not need to bring a thing. There were plenty of beach chairs, umbrellas, boogie boards, beach towels and all the beach toys a family needs. The mid-island location is within walking distance to lots of great restraunts including the Social and the IGA Supermarket. The property mangers are fabulous and treated us better than family-very prompt, efficient, and courteous. This home has won our hearts and we will definitely return! In fact, we would consider buying this home for our retirement years if it were ever to go on the market." "Wonderful, comfortable house with great amenities. " "As usual, our week at Tybee was fantastic! The weather was a little hotter and the beach more crowded, but overall it was a great time for all!" "2 12th street is the perfect beach house! Plenty of room, kitchen has everything one needs. The porch is our favorite! Great place to watch the sun rise! Plenty of parking for all of our guest. " "Great visit. Would love to stay here again. Every thing need for a great visit was provided. Especially enjoyed deck and screened porch. Also ample parking and easy beach access. We felt so safe and young people had fun walking beach to main beach and TS Chu's that they remembered from their childhood--it was still there!" "What a beautiful home and an incredible view of the Atlantic Ocean. The home was spacious and well-furnished, and we were able to view the Labor Day fireworks at Tybee Island from the Deck. 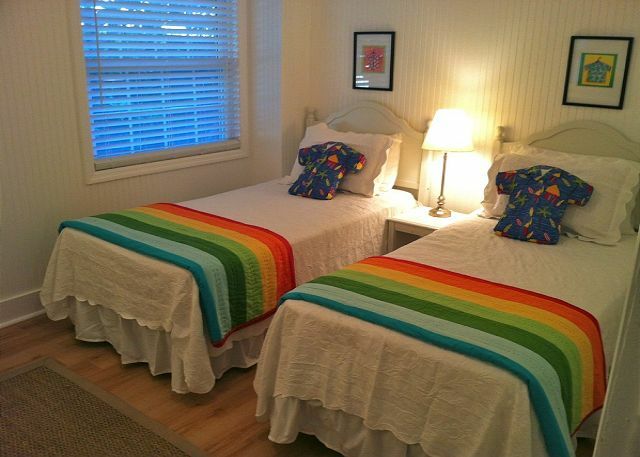 The manager is a perfect gentleman and the Tybee Cottage staff was ever helpful." "Our family loved this house. The screened room and deck are wonderful. The location is perfect, being steps from the beach and close to the market. Mr Heflin was wonderful to work with and easily contacted when needed. This home is perfect for a large family and the added bonus of having beach chairs and a beach wagon and grill was awesome! Highly recommended rental!!" "We had a great time from start to finish. The children loved the lower level where they could get away from the "old" folks. Would stay again without hesitation. When we had a slight problem with the stove, the response was immediate and pleasant and taken care of within two hours. Loved AJ's restaurant and appreciated the short walk to the IGA. Only recommendation would be to put reflective tape on the leading edges of the front steps. Hope to see Tybee again soon." "GREAT!! A little more crowded this year but still awesome! " "In every way the house is perfect for our family and friends! Kitchen well supplied, beach chairs, etc provided, plenty of parking and the porch is our favorite spot ! This is our fourth year in this house and we intend on the next 4 (or more) being here too! " "Fabulous stay and exceptional accommodations !! Very spacious and clean and slept 12 easily . Floorplan was really nice for a large group of people especially the casual lounge area that opened up to the deck ! The deck provided ocean front views and sounds . The commercial area was very accessible . In fact , we walked to most restaurants and the grocery store which was 150 yards away . Very convenient ! Arrangements were so easy working through Tybee Cottages . Jim Heflin was available around the clock and took care of anything that needed to be done . He even overnighted articles that were left in house !! Overall , great stay ! Very , very pleased ." 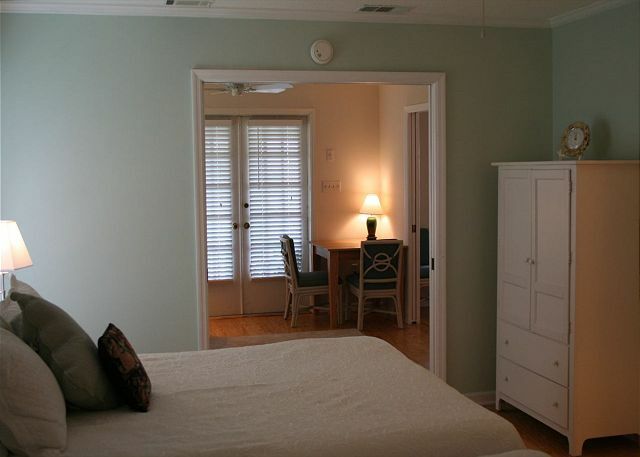 "Jim Heflin was most friendly and accommodating to make this rental stress free"
"This oceanfront Tybee house has it all---was there recently for a girlfriend's getaway, and the nearness to the beach, the smart decor and homey feel made for a great time. " "Renting from Jim is always easy and you know the place will be clean. 2 Twelfth St has a great view and very easy beach access. The set up is great for multiple families since the downstairs is it's own little apt but still connected to upstairs. The only problem we had was lots of mosquitos in the yard because there was a lot of standing water in the street in front of the house. This isn't Jim's fault but one family member counted over 200 bites on his body. YIKES! The other inconvenience is the owners leave you no beach chairs, umbrellas or any other fun toys! They don't advertise it so I wasn't expecting it but it would be nice. Overall I highly recommend anything Tybee Cottages has to offer. We have stayed with them several times and will do so again! " "Wonderful home! Clean, roomy, plenty of parking, wooden walk-over to sand makes for easier walk." "Even Tropical Storm Andrea didn't ruin our stay. Other than our annual battle with Tybee's ant infestation, we had a fantastic visit!!" 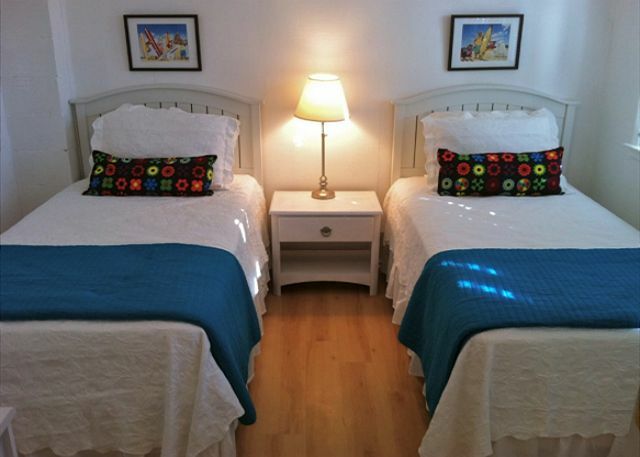 "We recently stayed at 2 Twelfth Street for our family vacation - seven adults and boys nine and 12. It is a cottage-style home with a wonderful, large screened-in porch and deck from which we had a full ocean view and sound of the surf. 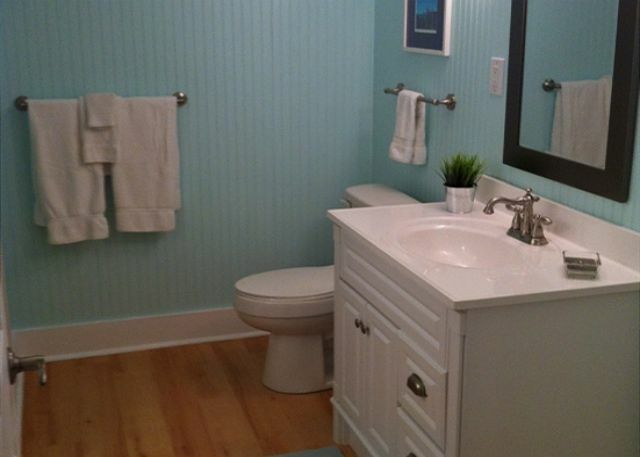 The "feel" of the house is truly coastal cottage - airy, comfortable, and a bit nostalgic. The ground floor "apartment" with its own light-duty kitchen, bedrooms, and living area gave us the ability to "spread out" from the main upstairs. (Additional lighting would be welcome in the living area downstairs.) Being able to go upstairs from this lower floor directly to the screened-in porch rather than through the house was good for early risers. The main upstairs is so well-arranged and well-appointed. We especially loved the fully-equipped kitchen because we ate at home several times during the week. Speaking of which, the island's sole grocery store is literally two blocks away. The design of the living room and large family dining table opening right on to the screened-in porch made the upstairs such a wonderful indoor-outdoor space. The cottage is a two-minute boardwalk over the dunes to the beach. We wished there had been an outdoor shower, but there is a hose available for rinsing off. There were adequate beach chairs, toys, towels, and a cart. We added some boogie boards to the collection. You will need to rent umbrellas. Since some of us came in by car, we instead decided to purchase a canopy, adequate for our entire family. 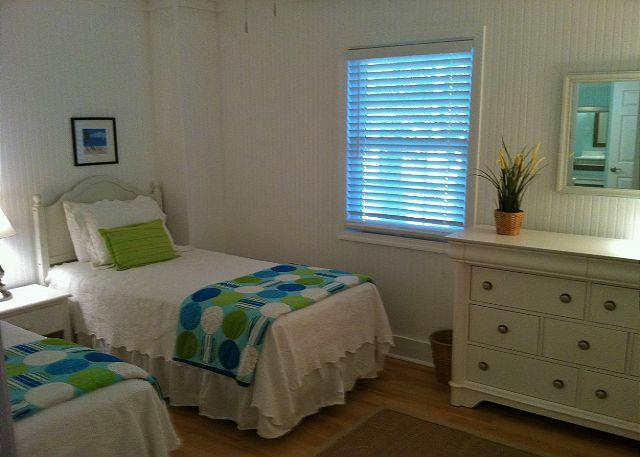 I want to mention the service we were given by the management company, Tybee Cottages. Without going into detail, we had two different family issues that came up, one prior to our stay and one as we were leaving. We cannot thank management enough for going above and beyond to help us. You will have a wonderful stay at The Cottage. " "The house was amazing it had everything .The view from the deck was wonderful. We spent every morning watching the sun rise over the ocean. We were surprised that there were plenty of beach towels and even sand pails. It was the first time we had rented a house on the beach. We plan to do it more often. Very,Very nice." "This house was perfect for our beach weekend. Jim was very easy to work with and made the rental process very easy. This house is perfect for multiple family members who like a space of their own. Thanks so much for sharing!" 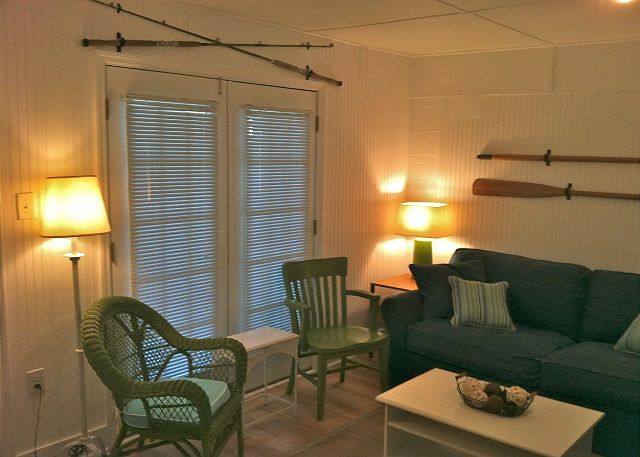 "This house and its location are perfect for a quiet, relaxing getaway which is just what my husband and I needed....great food, bike riding, fishing on the nearby pier, and just chilling on the beach and back porch. Don't miss the guided Fort Pulaski tour, great lighthouse view, and Captain Mike's dolphin tour at sunset." "Awesome vacation house. When I come back to tybee it will be to 2 twelth street.. "
"Despite two days of rain and an unusually cool week, our stay this year was super! This is our 13th year and most traditions (lunch at North Shore, snacks at the Sugar Shack and breakfast at the Breakfast Club) were fun as always. We found a shortage of Blue crabs troubling but we were earlier than usual with our Beach Week. All in all, a really great vacation!!!" "All I can say is WOW! We spent 5 nights at 2 12th Street during the last week of May. We were concerned when tropical storm Beryl made his way towards us, but that only slowed us down on Sunday - so we headed 40 miles north Sunday to Hilton Head and hit the Tanger Outlets! The home was beautifully decorated, very clean, and provided a 24/7 view of the water. Beds were comfortable, and our entire family had a wonderful time. Jim was fabulous throughout the entire process from booking the home to closing up when we left. 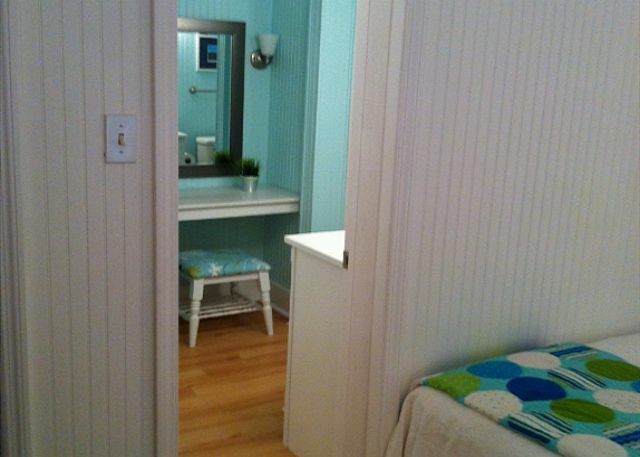 We will not hesitate to book through Tybee Cottages again. I'm already looking at the calendar for next year." "I can't say enough about the house. My family had a wonderful time staying here. The location to the beach and to everything else was fantastic. The place is very nice inside and had more room that we thought. The beds were very comfortable, the kitchen was well stocked and the bathrooms were very clean. I have to say and so would my family that the true gem to this house is the screened in back porch. We spent many hours out there watching the kids play and watching the beautiful ocean. We are really looking forward to returning next year for another wonderful stay. If you are looking for a great place to stay then 2 12th street is the place. Thanks Jim, the manager, for your great service and willingness to accomodate us even before our arrival. It was a pleasure doing business with you. Happy staying!!!" "As always Jim Heflin came through with exactly what we needed! Thanks!!!" "The renovated basement did not disappoint. Location has always been great. House is nicely decorated, yet comfortable. Porch and deck are a delight." "My friends and I rented this house St. Patty's Day weekend. Loved everything about the house and started planning our next trip the very 1st night we were there. If you are a beach bum like us you couldn't ask for a better location." "This was our first visit to Tybee and we couldn't be happier with the house and location, so peaceful and very convenient for sightseeing in Savannah. We almost had the beach to ourselves." "Stay was wonderful!! Especially enjoyed the screened porch." I have a question about pricing: the website says $1909 weekly but in fact it is much more than that. We would be interested in renting May 10 to May 17 at the $1909 price. There are only 2 of us. We are a retired couple. The web site clearly shows $3.864.60 without travel insurance as the grand total weekly charges from May 10th until the 17th.